What remote sensing memories does the Landsat 40th anniversary bring up for you? I've always felt an oddly personal connection to the deforestation in the Amazonian rainforest, especially considering that I've never even been there. I think it's because back when "deforestation" was becoming a household word, I actually had a chance to see it happening via the magic of remote sensing. Take a ride with me, if you will, on the way back machine to the . . . mumble . . . mumble . . . 1980s. A gallon of gas cost 97 cents, the Berlin wall hadn't yet come down, and Ronald Reagan was president. I was working my first real job at the remote sensing lab in the Geological Sciences department at the University of Washington. One of the biggest projects the lab was working on had to do with detecting deforestation in the Brazilian district of Rondônia, using Landsat data. At the time, we had only 15 years or so of Landsat data, but the deforestation was already obvious and alarming. So, I was particularly interested to run across the following video by Google’s Earth Engine program, and Carnegie Mellon University, which shows and discusses a time lapse of Landsat images of the Amazon rainforest between 1999 to 2011. 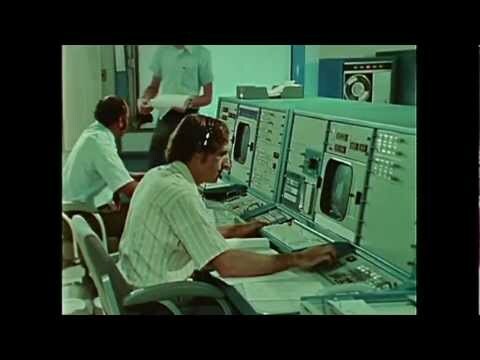 As you watch, keep in mind that this video doesn’t show the whole 40 years of Landsat coverage. It’s only 12 short years. Will you please share your Landsat memories with us?